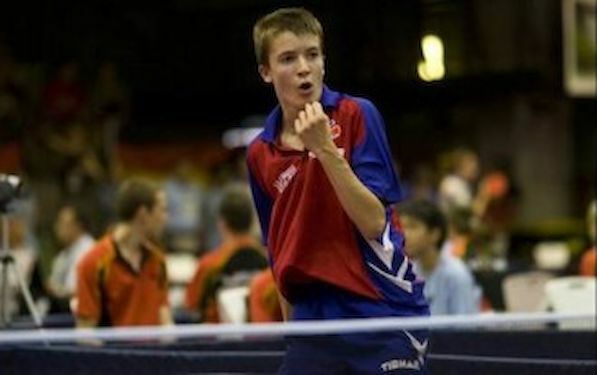 In the Round of 16 in Men’s Singles Event at the GAC Group 2014 ITTF World Tour, Korea Open (Super) in Incheon City France is the European country with most representatives. After thrilling seven games in Round of 32 Romain LORENTZ beat LYU Xiang of China (9-11,11-9,10-12,9-11,14-12,11-5,11-6). It was the same scenario in duel between Stephane OUAICHE vs. HUANG Sheng-Sheng of Taipei (11-6,13-11,7-11,7-11,10-12,11-4,11-8). On the lower half of the draw Tristan FLORE needed only five games to beat Amalraj ANTHONY of India (9-11,6-11,6-11,11-6,7-1). Kristian KARLSSON of Sweden needed one less to beat KANG Donghoon of Korea (11-6,11-8,11-9,11-8). Alexander SHIBAEV of Russia also joined them after victory over compatriot Alexey LIVENTSOV 4:1 (5-11,11-5,11-8,13-11,11-6). Patrick BAUM of Germany overcame ZHOU Kai of China 4:2 (15-13,11-9,6-11,12-14,11-8,11-9), whilst his compatriot Steffen MENGEL beat WANG Yang of Slovakia by same margin (13-11,11-9,6-11,11-7,11-7). In Women’s Singles Event, in Round of 32 SHAN Xiaona of Germany in five games beat PARK Youngsook of Korea (12-10,5-11,6-11,10-12,8-11). Her compatriot HAN Ying joined her after straight games victory over Yuri YAMANASHI of Japan (11-5,11-8,13-11,11-4). LI Jie of Netherlands overcame NG Wing Nam of Hong Kong (12-10,6-11,7-11,11-9,3-11,4-11), YU Fu of Portugal overcame WU Jiaduo of Germany 4:1 (11-9,11-8,9-11,11-9,11-3).